Spin the reels of the new Trigger Happy pokie with 25 free spins and a 150% match bonus at Fair Go Casino! Redeem the coupon code TRIGGER-CASH in the casino cashier before your next deposit of $25 or more to claim your 25 Trigger Happy free spins and 150% match bonus. You can also claim a $25 free chip with the coupon code LUCKYAPRIL25 after completing an April deposit. Good luck! 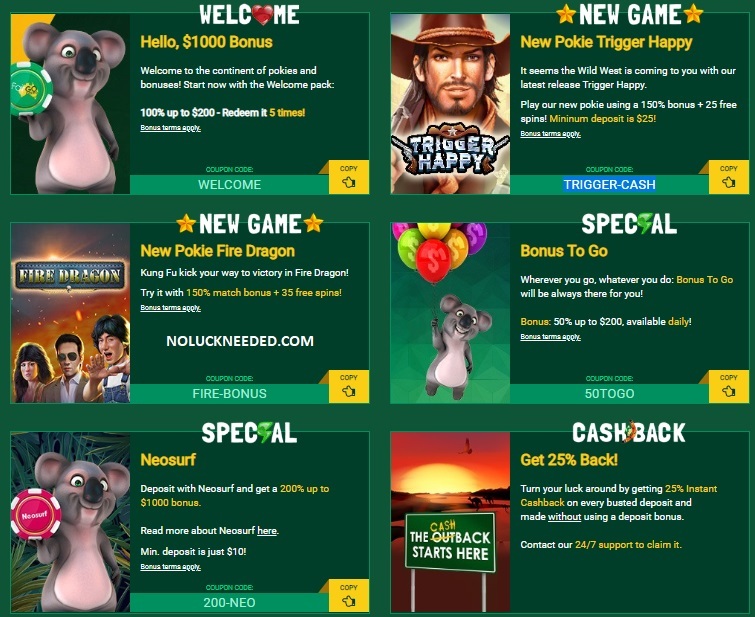 Claim your April Bonus Codes and Free Spins at Fair Go Casino!